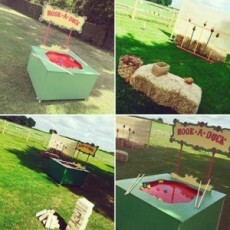 Our original design and custom built ‘Hook A Duck’ is a great piece for entertaining your guests…..young and old! A great additional to those traditional out door games. Why not look at our Coconut Shy too?